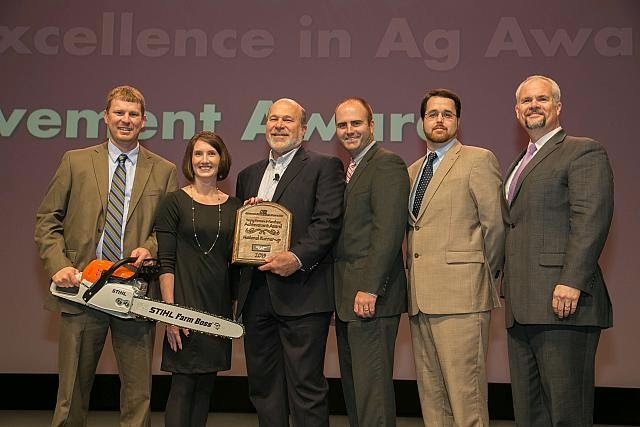 STIHL celebrated agriculture excellence, innovation and advancement at the American Farm Bureau Federation (AFBF) 2015 Young Farmers and Ranchers (YF&R) awards. Farmers and ranchers from across the country competed for the honors at the AFB national convention in San Diego, CA. 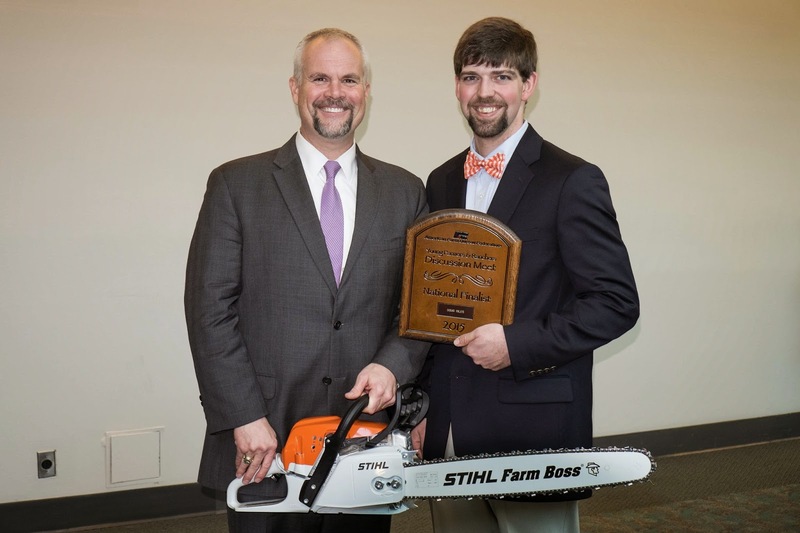 STIHL Inc. sponsored the Achievement Award, Discussion Meet, and Excellence in Agriculture competitions, open to farmers and ranchers between the ages of 18-35. 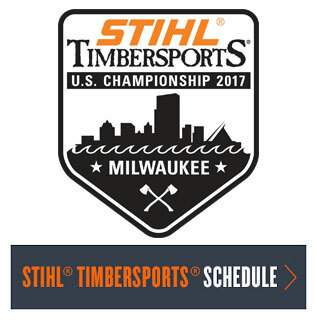 STIHL presented each runner up award recipient $3,000 in cash and STIHL merchandise. 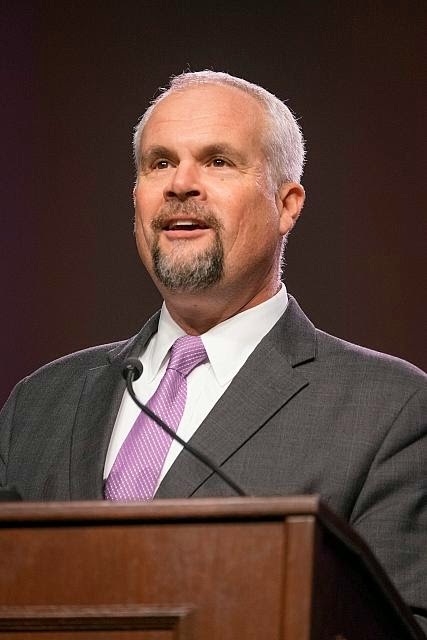 Roger Phelps, promotional communications manager for STIHL Inc., addressed the 8,000 conference attendees, praising the young farmers and ranchers for their contribution to American agriculture, and and STIHL's shared valued of tradition and innovation. Chris and Rebekah Pierce of Kentucky walked away with this year’s prize as well as a 2015 truck provided by GM, for demonstrating first-class leadership and excellence in farming and ranching operations. Growth, financial progress, and leadership both within and outside of the AFBF served as the criteria for evaluation and selection of winners. Runners-up included Ben and Amy Gittins of Idaho, Matt and Jenna Kilgus of Illinois, and Marky and Cindy Klepper of Tennessee. Sean Arians of Illinois took the top honor at the Discussion Meet and will receive a 2015 truck from GM for showcasing superior ability to exchange ideas and information. Megan Hansen of Iowa, Doug Giles of Tennessee, and Jeremy Barron of Indiana were the category’s runners-up. Paul and Ruth Lanoue won the Excellence in Agriculture Award as well as a 2015 truck provided by GM, recognized for their active leadership in AFBF and other agriculture organizations. Jessica Jones of Virginia, Michael and Amy Shirley of Tennessee, and Phillip and Alison Honea of South Carolina were selected as runners-up. 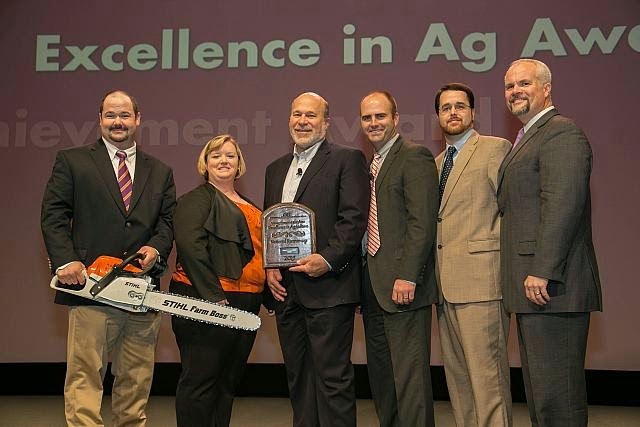 STIHL salutes these industry leaders!